Inspecting and repairing automatic transmission systems is not easy, and so, whenever you need any automotive service for the transmission of your vehicle, you should rely only on the automatic transmission specialist in Sydney. Dantrans Automotive is the specialist you have been looking for! With over several years of experience in the industry, we have gained specialization to resolve all kinds of issues that can take place in the transmission components of your car. In some cases, reconditioning the transmission becomes necessary, but you need not worry as we have expertise in reconditioned transmission as well. We also perform engine rebuild in a similar way. Along with being a specialist for transmission and engine, we are also the brake specialist in Peakhurst, Rockdale and nearby suburbs. We provide a variety of services, including mechanical repairs, steering & suspension repair and auto electrical services across Strathfield, Bankstown, Peakhurst and other areas in Sydney. Our workshop is an authorized centre for log book services and e safety check in Sydney. We offer services for both private and fleet vehicles at reasonable prices. 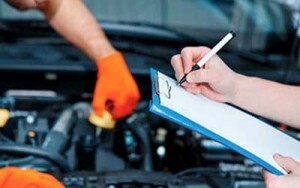 For exceptional car repairs and car service in Rockdale, Bankstown, Strathfield and overall Sydney, call us (02) 9708 1177 or send a mail to dantransauto@hotmail.com.